Jones Consultants, LLC is located in the heart of the Marcellus and Utica Shale plays, Delmont, Pennsylvania. 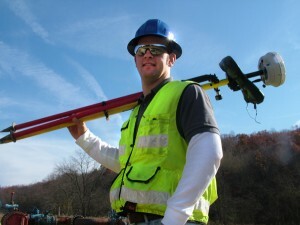 Our company is licensed to practice surveying in Pennsylvania, West Virginia, Ohio, Kentucky, Tennessee and Vermont. 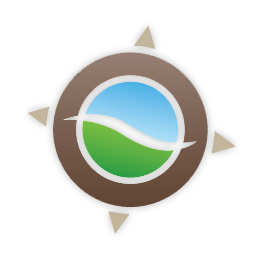 We specialize in surveying for natural gas pipeline projects and are highly proficient surveying rural boundaries, gas well unit boundaries and gas well staking projects. In light of our specialization, we don’t limit ourselves to only that work, but are willing to provide any surveying service to all potential clients. We utilize the most advanced Trimble subcentimeter GPS receivers, total stations and data collection software to expedite the survey process and obtain high quality data. We prepare all drawings using Carlson SurvCAD software running on an AutoCAD engine. We can provide our clients with AutoCAD .dwg (drawing) files and GIS .shp (shape) files. Our Priority: Providing exceptional service from start to finish — delivering a product that exceeds expectations, at a competitive price. Ryan is a Professional Land Surveyor licensed in Pennsylvania, West Virginia, Kentucky, Tennessee and Vermont. Ryan graduated from Western Washington University in 2001 with a Bachelor’s degree in Geography and later attended the University of Wyoming Land Surveying Program. Prior to earning his Bachelor degree, Ryan attended Ithaca College and studied business administration. Prior to starting Jones Consultants, Ryan worked for various small and large surveying and engineering firms in New Hampshire, Kentucky and Pennsylvania to hone his surveying, project management and business management skills. Joe is a certified Surveyor in Training. He graduated from the Pennsylvania State University in 2009 with a Bachelor’s degree in Land Surveying and a Business minor. Joe has worked on several unique survey projects including performing original surveys in Alaska for the Bureau of Land Management. Prior to starting Jones Consultants, Joe has worked for the Army Corps of Engineers and other large survey companies. Joe has significant experience preparing unit boundary surveys and pipeline alignment sheets.